Traditional hunting is not something that most people can just jump in to. Many of those who hunt today, likely grew up in a hunting family or had a mentor who they have followed such as a father, grandfather, uncle, or family friend. With the vast majority of the hunting culture being lost with urban civilization, knowing where to start in your quest to learn more about this lifestyle can be difficult. This being said, many such as yourself, are waking up to that inner desire to challenge themselves with a hunt and to know exactly where their meat comes from. Throughout history, our ancestors spent much of their time looking for food, plant and animal, but the necessity of protein for survival was above all else required. In simpler words, your desire to learn about hunting isn’t a new thing, it’s old and ingrained in your DNA. This is what we call the Adult Onset Hunting (AOH) Movement and it starts with the basics. Hunting in general is confusing for many who haven’t grown up with it. What is my purpose? Where do I start? How do I know what animals to hunt? What weapons to use? The legalities in my state? What gear to buy?... and the list goes on. With AOH you can’t just grab a bow, walk out in the woods, and come home with an animal. You must know your why, what, when, where and how. (especially if you don’t want to end up in jail, injured, or bear food) The process is one of time, patience, education, and if possible, mentorship. There are so many aspects to preparing for a hunt, so lets start with the basics. When taking on any new skill, it’s good to know your purpose. Hunting can bring up a lot of emotional and mental questions and these need to be pondered to best direct you. Perhaps some of the questions below can help you find your purpose when wanting to start AOH. You want to know where your meat comes from. You want to be closer to the cycle of life. You want to challenge yourself. You want to spend more time learning about animal behavior. You need to save money. You need time outside and unplugged. You have friends who hunt. You have a keen desire to learn new things. You want to learn patience. You are interested in new experiences. Likely you will want to ponder many of the examples above and add your own, but with no great purpose, your success will be slim to none. Ryan in his early years with his Uncle Ron who has been a hunting mentor. If you are having the call of the hunt it’s not unusual, but it can be frustrating especially if you’ve never been hunting. Find a mentor or community. This is our number one for a reason: There is no better way to learn proficiency in a skill than to be an apprentice, and having a mentor is going to help you with all the other steps below. A good first step is to find someone who does hunt, and shadow them. This seems pretty common sense, but it will give you understanding of whether or not it’s within you. Mentorship allows you to learn from someone who has knowledge of what you want to do, and could help direct you in all the following steps we will be discussing here. If you don’t have access to anyone who hunts, today’s social media climate can allow you to reach out to those who do hunt, and if they are willing to share, it can be a great way to find a mentor. Ryan has a private SM membership group starting February 15th, 2018 if you want to see what mentorship can offer. Field skills evaluation with a certified instructor. Purchase a hunting license. After you have your hunter’s safety card, you can now buy a hunting license in your state, or other states. This is required by law to hunt most animals, so get in touch with your Department of Fish and Game for information on hunting licenses, permits, and tags. Determine your choice of weapon(s). Rifle or bow are the most common choices. Once you figure this out, this will dictate when and where you can hunt. Be proficient with your weapon is the most important factor, so practice, practice, practice. The next obvious step is choosing which animals you want to hunt, but our guess it you already knew this, or had direction through mentorship, so it’s sort of redundant to talk about it. Many hunters have animals they prefer to hunt every year, and so they learn about these animals in depth. Examples would be game birds, mule deer, whitetail deer, elk, bear, and other game animals. It’s best to learn everything you can about the animals you seek, which is why scouting, hiking etc in the off season is a great way to learn animal behavior and habitat. Tags. When you know what animal you want to hunt, this will help you understand where and when you can hunt for that animal(s). You need to contact your Department of Fish and Wildlife to know what tags you will need for your hunt each year. Purchase quality gear which will last. Talk to your mentor, do research, and get acquainted with what you will need. Gear will also be dependant on what type of hunting you are doing. Backcountry vs tree stand vs duck blinds etc, it’s all different. 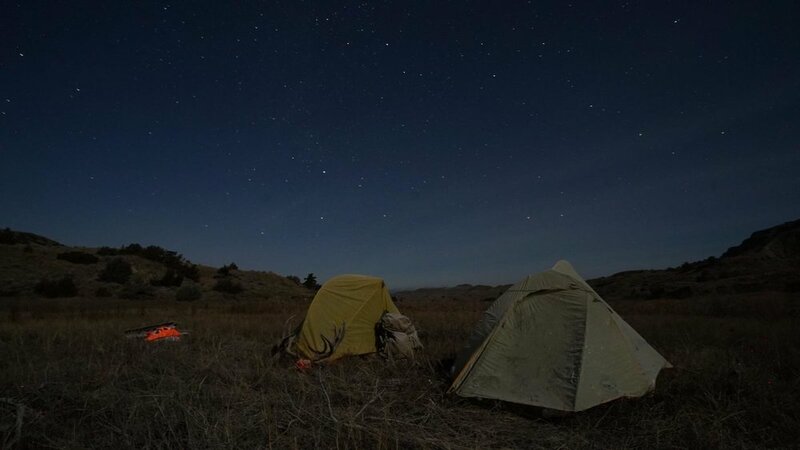 Here is Ryan’s ABC’s essentials for a typical backcountry hunt for reference, but don't let it scare you too much, this is a list you can build on as you learn. Backpack with minimum 3500 cubic inches of space. Shelter. You can use a tent, tarp, or bivy. Sleeping bag. Down (better for warmth) or synthetic (better for rain). Water filtration. Ryan uses a steripen, and iodine tablets for backup. Cooking stove with fuel canister. Optics. Binoculars and/or spotting scope. Fixed blade knife for backup. Appropriate clothing. Merino base layers, gloves, merino socks, synthetic hoodie, puffy down jacket, warm hat, lightweight rain gear. Food. Ryan likes to make his own. 3000 calories or 1 ½ lbs per day worth. Quality hiking boots that you’ve broken in. Get outside and begin learning your areas. This is as simple as taking time in the off season to spend time hiking, camping, and scouting the areas that you would like to hunt. There is no way to do anything like this if you don’t have boots on the ground and understand the terrain, weather, and habit that animals live in. You can use apps such as In Season, OnxHunts, or GoHunts. They help you understand your regulations, seasons, and make mapping and research much easier. Reach out and support organizations that support hunter education, animal habitat , conservation, and public lands. Ethical hunters are some of the most animal loving people around. Be wary of many volunteer groups that have the agenda to stop hunting all together, and do your research. 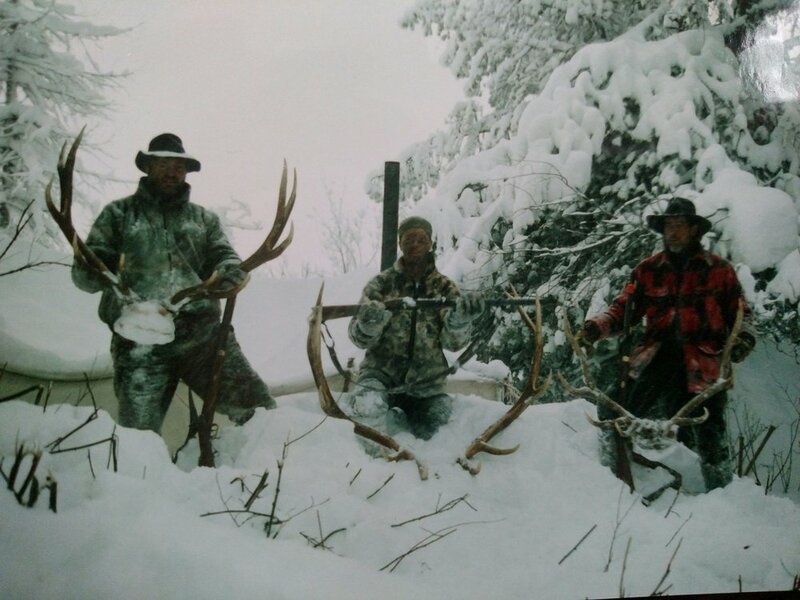 We like to support groups such as the Backcountry Hunters and Anglers, Mule Deer Foundation, Rocky Mountain Elk Foundation, and Ducks Unlimited. There are many other groups out there fighting for our North American hunting traditions, by managing and protecting public lands and animal habitat. Hunting is a skill. It takes education, time, and patience to be successful. If you are an AOH, find a mentor, do the legal steps, and just get outside! We live in the most amazing country, where you have the choice to be part of the great outdoors, where hunting is not only for the wealthy royals, but for all who desire to be part of the cycle of life. Hopefully your respect for the great animals you seek will become a relationship you will foster for future generations.